Help guys, I got a new S5 and have been using it for about a week. 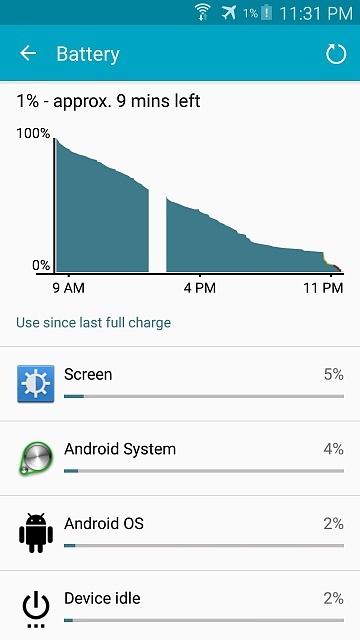 Started off great, battery life lasted me 2 days with plenty of usage, browsing, youtube, etc. Then I decided to rinse the phone off with warm water under the facet. Strange things happened. First of all the case got warm. I dried the phone off with a towel, and opened the case cover. The battery was hissing, so I immediately removed it, dried everything really well, and tried to reboot. It took several tries to power up but finally did. Now the heart rate monitor no longer functions. Telling it to measure heart rate no longer lights up the red sensor. I noticed this sensor is not sealed off by the case and assumed it should have been waterproof in the first place?! Second of all, my battery life is now terrible. Full charge in the morning, put it in my pocket with no sim card in the phone, airplane mode. By noon it drained itself to 60% with the screen off the entire time. By evening it was fully drained. I would estimate only about 20-30 mins usage total, the rest of the time the screen was off!! Opening the battery monitor also shows weirdness. No apps are shown as draining the battery. Doesn't make any sense to me at all? If it's new, as in store new, try returning it. That would be the simplest answer. If not store bought but under warranty, try contacting Samsung for warranty service. Nota bene, when I sent my phone to the Samsung depot it was gone for three weeks. If neither of these is an option, try a new battery. And track your battery stats in more detail. If you tap on the battery graph you'll get a breakdown, screen on time, wake time, GPS, etc. Likewise tapping each item under the graph in main battery menu gives you additional details. And just a general note for others, the phone is water resistant (provided the casing is securely seated, the charge port is sealed, its not damaged etc.). Even so, your best option to clean your phone is with a microfiber cloth. If you have gunk on it, wet a towel with warm water, wring it out, and wipe just the gunky areas. Then I decided to rinse the phone off with warm water under the facet. What would posses you to do that?, Did it really seem like a good idea? well when you buy a waterproof phone, yes it does. Water resistant . . . the handset is water resistant provided it isn't damaged and everything is sealed securely . . .
it was not damaged and everything was sealed securely. The battery compartment was dry so I have no idea why it was fizzling. If I bought a watch water resistant to 1m would it be a bad idea to wash my hands in the sink with it on? everything was snapped in securely, I made dam sure of that since the phone was brand new. It's just a ****ty design. Why did samsung make it so the cover only seals the inner compartment? You get a ring of water trapped around the outer edges of the case that can't dry and starts to grow funk. How do I stream from my Note 5 to smart tv without wifi? How can I fix my modem? I have a Galaxy Samsung Tablet that won't rotate my Kindle books. It rotates on everything else. What can I do? On my Xolo device some apps install without notice they open after install itself?